Doing what you can to keep your investment property rented maintains its cash flow and covers your overhead. Unless the home needs a complete renovation, it’s losing money 24/7. Finding a new tenant takes money to advertise, show the property, qualify the tenants, and prepare the home, and all the untold hours involved in these tasks, along with the cleaning and updates it may need. 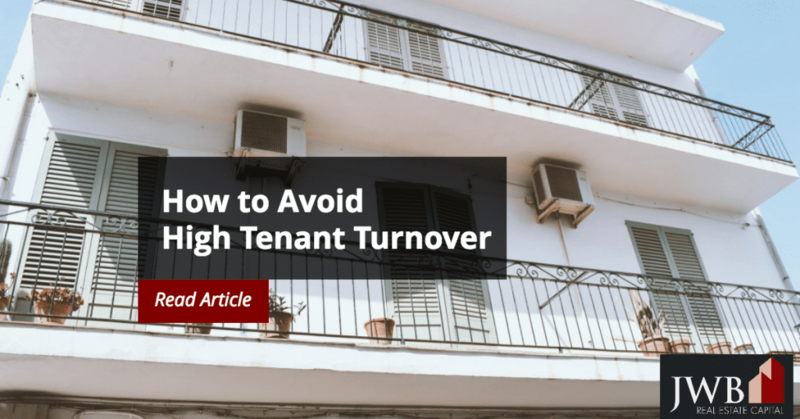 These tips can help you avoid a high tenant turnover rate that will cost you in time and money, and also help you attract tenants who will respect the property as if it were their own. Besides the usual credit and background screenings, check out how long they’ve lived in their previous residences. Some people enjoy moving around and if you have to choose between tenants, opt for the one who stays put longer to help you avoid a high tenant turnover rate. Offer longer leases with rent incentive. Give tenants an option for a two-year lease with rent incentives for the second year. You’ll avoid the costs associated with annual tenant turnover and pass some of those savings onto their second year of tenancy. The most popular incentives include their choice of property improvements or offset rent increases with discounts. Avoid being an all-or-nothing landlord. Although there’s nothing wrong with sticking to the exact terms of the lease or rental agreement, don’t be afraid to break the rules once in a while. If a tenant has paid the rent on time faithfully and needs a few extra days because of an emergency, back off the late fees. You may earn the appreciation and gratitude of your tenant that could give them enough incentive to extend a lease. Respond to tenant issues quickly. Instead of showing skepticism when tenants complain about their neighbors, go to bat for them when they have legitimate complaints. If the property is in a community with an HOA, you may have to file the complaint on their behalf. Installing hard-wired security cameras on the exterior is a perk that current and future tenants might appreciate. A quick way to irritate your tenants is to neglect repairs, especially those that affect their daily lives. HVAC repairs should be made quickly, and in some places, the state or local jurisdiction may mandate a quick turnaround. Plumbing emergencies are another area where sooner is always better, since they, too, affect health and comfort. Property managers excel at scheduling and monitoring repairs and routine maintenance for rental units, and use preferred providers with a solid track record. Your renters are your customers, and if you keep the property looking good and respond quickly to their issues, they might be more likely to extend their lease. Unless the rental is so desirable or the vacancy rate extremely low, it may not be a good idea to raise the rent when they renew the lease. The payback for you might not be enough to cover the loss of income and all the costs associated with finding new tenants. Consider hiring a property management company to help. Are you short on time? You’d most likely come out ahead by hiring a reputable property management company to help you keep your tenants happy and help you avoid costly tenant turnover. A professional property management company can help you establish a fair market value for the rent and learn how deep the demand is for rental housing to guide your decisions. In the long run, it’s better to keep your property occupied than go through the vacancy cycles for a steady, dependable monthly cash flow than go through feast and famine cycles. In the end, it will probably cost you less and leave your property in better condition.